Will your website actively generate sales leads? Will you know what sources deliver the best customers? Do you have a website platform that's easy to use? Do you need a programmer to make updates? Is the website linked with your sales activity so you know ROI? 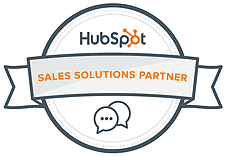 Are you juggling different tools for sales and marketing? Is it easy for you to launch conversion paths to generate leads? Does the website comply with GDPR?